Does your playroom often get transformed into a pirate ship, a train station, or a campsite? Do you find yourself stocking up on Halloween costumes when they go on clearance after the holiday? Does your little one ask to be called “Officer” or “Doctor” rather than their first name? 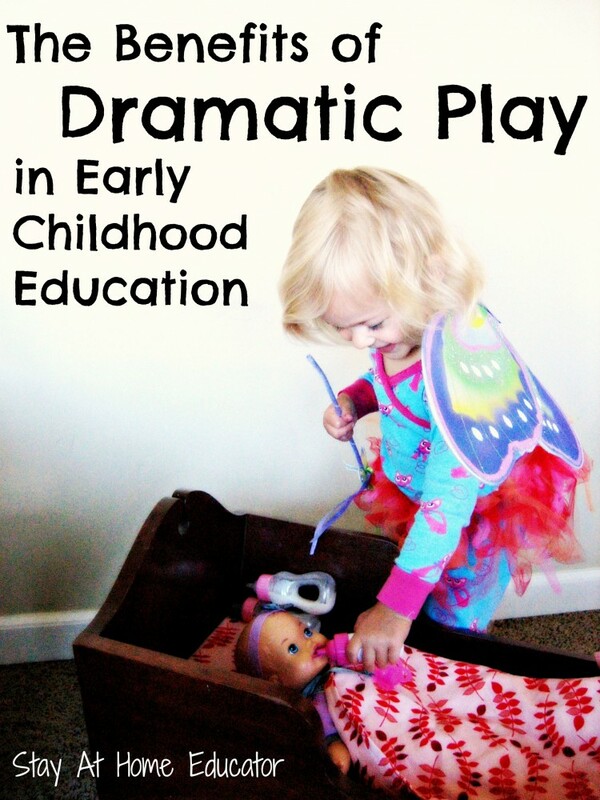 You must have a kiddo who loves dramatic play! And that’s a really, really good thing! Dramatic play is s a type of play where children assign and accept roles and act them out. It’s pretending to be someone or something else . Someone different and new like a supervillain, or someone well known and familiar like mom. Sometimes children take on real-world roles, other times they take on fantasy roles. Either way, it is play that involves breaking down the barriers of reality and results in serious and natural learning. 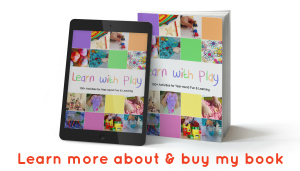 Pretend play can take on multiple forms, and while pretending may just look like “playing”, it is integral to the developmental learning process. It should be encouraged, and children need lots of opportunities to engage. Structured play has a pre-determined set and desired outcome. A parent or teacher sets up a scenario for the children to play into, such as setting up an “airport“, and the children then choose and assign roles from what it available and then work through problems that arise within the set. Unstructured play is where children have the freedom to choose their own plan scenarios and often create their own sets based on what is available to them. The living room couch might turn into a pirate ship or a shoelace might become a stethoscope in a veterinarian office. 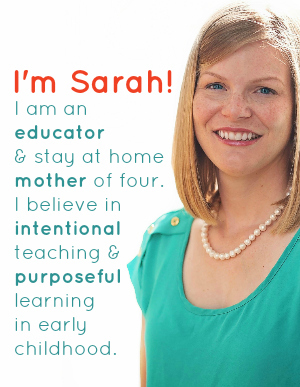 Both have their challenges and advantages, and both should be included in early childhood. Experts agree that dramatic play is an integral part of a well rounded preschool program as it is healthy for early childhood development. Here are just a few of the many incredible benefits of dramatic play. 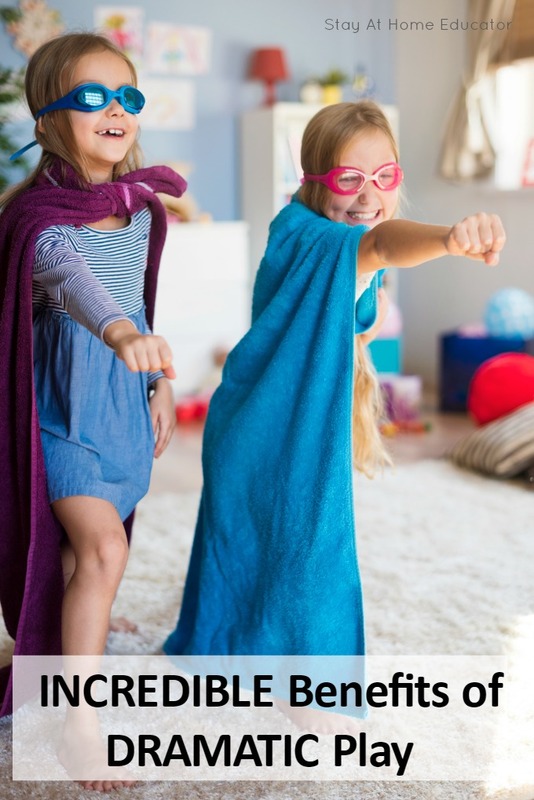 Preschoolers are known for acting with impulse, so dramatic play is a great stepping stone for learning to self-regulate their emotions and actions. Interestingly, when children assign and accept roles in dramatic play they are motivated to stick to them, thinking of them as rules to follow. Their own rules. this helps them develop the ability to coordinate and plan with others as well as control their impulses. Dramatic Play enrouages languge development. Dramatic Play teaches conflict resolution. Both unstructured and structured dramatic play offer teachable moments about conflict resolution. Inevitably, disagreements will naturally arise during dramatic play, which offers children a chance to work through their differences and arrange a compromise. It also encourages children to consider alternate perspectives as they recognize various roles of people in their lives and communities. Dramatic play supports math and literacy. Dramatic play provides the perfect play setting for children to interact with functional math and print. Consider the chidlren who is playing server at a resturant. He will interact with both print and numbers as he takes orders, fills them and then rings up the total owed for the meal. Dramatic play is also known for increasing comprehension as children love to act out their favorite storybooks. Dramatic Play relieves emotional tension. Dramatic play offers a safe place for children to act out real life situations. Adults tend to cope with dramatic events by retelling it again and again. Children cope with dramatic events by acting them out. 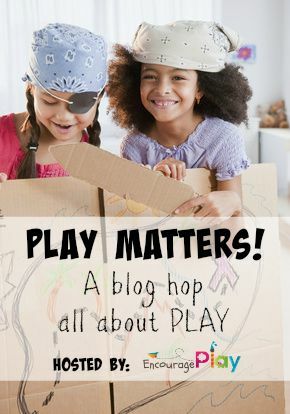 This is not only because children can assign and accept their own roles in the play setting, but also because dramatic play offers a safe play for children to act out traumatic experiences. Typically when children act out dramatic or frightening experiences thy place themselves in a powerful role. They choose to play mommy or daddy, two important figures in their lives, or a superhero with great powers. A child who has lived through real trama, like a car accident, for example, might choose to be a paramedic or doctor. There are so many important benefits of dramatic play, the more important it to encourage it whenever possible! And it’s simple to do because kids naturally gravitate toward it! Some preschool programs have huge dramatic play centers with an even greater amount of dress-up clothing. But dramatic play can happen in the home, too! If you don’t have a lot of room for full on dress-up costumes , go smaller. Try starting with a box of play silks , and some hats or masks . Add a few dolls or stuffed animals. Let your children define objects for use and let them pretend whatever to be whatever they would like. Are you looking for more play ideas? 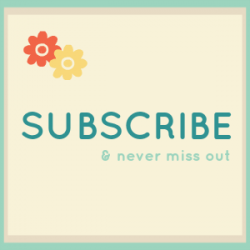 Check out this awesome blog hop! Click on the image below. It’s so fun to watch my 4 year old act out various roles. She’s the queen of dramatic play. She often sleeps in her dress up clothes, fairy wings and all! Hi, I am Margaret Rodgers. Thanks for your great article. I am very much cautious about my raising child. Actually, My kids are zeal of playing with the indoor dramatic play. It’s good for kids health and helps to grow up very well. And When I see their joy knew no bounds then, I feel very happy. My doctors have also said that kids who want to grow taller should be consistent in this kind of plays stuff and reaching for higher objects this stretches out the mind and also improving their mental growth. I have read your article that is full of information. Thanks for sharing this useful information with us. Thank you!